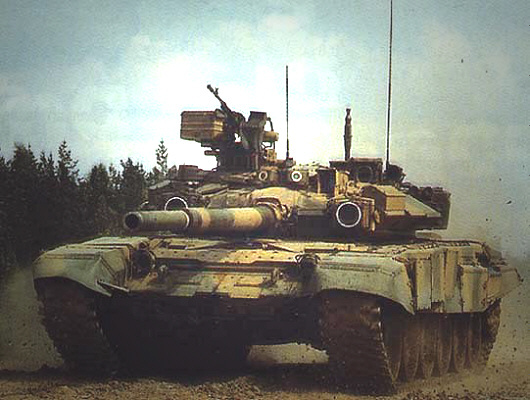 Utilise three different battle tanks,ie: M1 Abrams, T90 and a Chieftain MK 1. Race them from one end of a mile long airport runway to the end whilst using paintball shells as ammunition. Each of the three runways are lined with toppled, stacked cars with intermediate gaps. Reach the mile without being hit twice and you are the winner. If you want any kind of audience the wrecked cars have to blow up in a movie-realistic style. Paint balls won't do that. You'll have to stay with the real thing. Why all tanks? An attack helicopter hiding in the trench between the cars would add some spice. Got it,[Kbecker], add a timer from point to point ,between gaps. Cool. Allowing the audience to pay and shoot flour mortars at the tanks would be fun. heck with flour mortars. Real ones. Kinda like that old Schwarteneggar movie... whichever makes it the farthest. Anybody thinking Remote Control. Viewers at home can call in a vote for an air strike (Apache Hellfire Missles). Audience has grenades and rocket Launchers. add the mujahadeein with a load of RPGs. 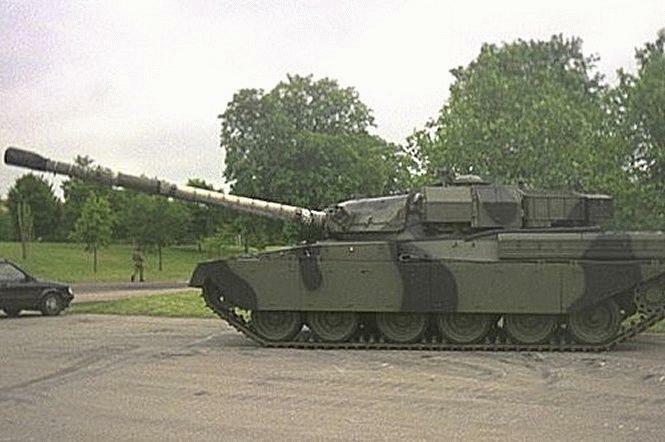 How come we can get hold of an Abrams or a T90, but the best of British we can get is a Mk1 Chieftain? Come on, a Challenger at least... and how about a Merkava while we're at it? To have any hope of doing damage, the mujahedin need something bigger than an RPG... I believe the Abrams and Merkava are effectively immune to them. [david_scothern] you can have a Challenger if you want to. I have a real time strategy game where you could customise vehicles, including tanks. You were supposed to fight some enemy, but I used to take the weapons off, replace them with extra engines and then race them. IIRC the fastest was a tank with 7 engines and nothing else. That's not going to provide much of a barrier to a MBT. If you want to provide a barrier, you'll need large concrete bunkers or large dump trucks or construction equipment. You could probably do this without tanks. It would be a hell of a lot cheaper. Why bother with all this safety paintball rubbish. I once saw a show which was remote controlled cars (full size) destruction derby. Why not apply the same idea here. A Big Creater or Quarry. Patch up the sides with huge mounds of earth and have some sort of removable barrier to allow the tanks in then switch on the computers, remotes and off you go. Admittedly the price will have to go up but I should imagine people will be willing to pay quite a lot to watch this. Albiet from several hundred miles away in the safety of their own homes. And you'd need a small nuke to nail a Merkava.